DJ Ed's Radio SOS is a little musical message in a bottle, or it's digital equivalent. Each episode is a collection of sounds from around the world chosen with some message or meaning in mind that seemed important at the time. Whatever the meaning Ed will endeavour to explain, but not too much because the music is the message. Ed has been an avid listener and collector of music for many years, and began DJing at friends parties, fund-raising events, bedrooms and the odd tent. 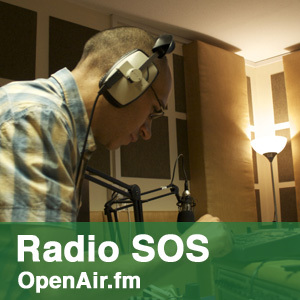 Since working at SOAS he has developed an appreciation of music from many parts of the world, and much of what you'll hear on Radio SOS has an African or Asian origin, but that won't exclude music from anywhere. If its great music and it works with the other sounds already in the bottle it'll get played.